The adventurer and initial team builder has been called by many names. The words entrepreneur, visionary, broker, missionary, innovator or CEO often catches the attention of others, but many times this leadership type finds it difficult to contributing in more established ways for extended periods of time. The person who is willing to “go” and recruit a skilled team to accomplish a goal must have an extraordinary amount of energy and resources. Because a pioneer generally doesn’t accomplish lasting results without a team, training and duplication of effort is the key to their success. A mature pioneer will find a healthy way to delegate appropriately and consistently. Revealers and truth tellers have a way of emphasizes clarity and direction with very certain terms, imagery, analogies and ideas. This person helps keep the team on the right track and acts as a compass. Generally they will find a way to communicate the perceived truth as it becomes available. The revealer often thinks in terms of black and white so changes in direction or vision may take time for this person to process. A mature version of this talent demonstrates as a justice crusader who can evaluate situations appropriately while greatly benefiting a team. If this strength isn’t developed, they can become disconnected, very disruptive and may find themselves without relational equity or influence. Training and learning seems to be enjoyed more by some leaders, those who pride themselves in helping others gain access to knowledge can greatly improve efficiency and effectiveness. Information is their tool of choice and they present in a way that can be remembered. Written and verbal communication are keys to this person being successful. In today’s day of random “information overload”, if laser focused, this strength can be a great asset to any team. The caution for this person would be giving too much information at one time or irrelevant facts that don’t bring value to the team. Coaching and caring is a long-term strategy for some leaders. 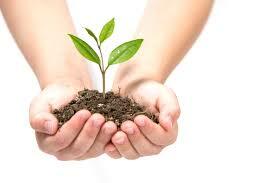 This person treats people like a gardener would treat a valuable crop and is very attentive. While vocations like counselors, pastors, doctors, nurses and farmers are often nurturers, most other businesses also need leaders to serve clients with excellence (customer care). Nurturers have a difficult time with letting go of difficult situations or people, but are well loved because they treat others with genuine concern. This personality type must be mindful of the co-dependent trap and getting overly focused on the most needy and time intensive situations. Every business and organization needs evangelists sharing the “Good News” about products, services or important message to others. These conversation focused people find a way to connect with others while introducing them to something they may want or need. This leadership type naturally leads others toward a decision by asking great questions and nudging. They may come across as pushy and should be careful to listen carefully while not getting frustrated with those who don’t make decisions quickly. The best chance for effectiveness as a talker is simply being consistent with your message to as many “open ears” as possible. When identifying patterns and tendencies within people from various times periods and cultures, we find that similar concepts naturally emerge. Below is a survey of very basic questions to help understand your strengths according to the five major leadership roles (five fold ministry) found in the ancient Biblical text written by one of the greatest “Pioneers” in history to a group of Christians located in western Asia minor (modern Turkey). Learn more about these major official roles found in religious leadership by reading Ephesians chapter 4.